from Brig. Gen. William J. The Office of Coordinator of Information (COI) was established on 11 July 1941. It was announced to the public as an agency for the collection and analysis of information and data. Actually, through COI and its successor, the Office of Strategic Services (OSS), the United States was beginning its first organized venture into the fields of espionage, propaganda, subversion and related activities under the aegis of a centralized intelligence agency. COI/OSS was in the concept of the relationship between these varied activities and their combined effect as one of the most potent weapons in modern warfare. The concept evolved from two missions performed for President Roosevelt in 1940 and 1941 by the man who guided COI/OSS throughout its existenceWilliam Joseph Donovan. The establishment of the COI met particularly vigorous opposition from the Army and Navy on the ground that the new agency might usurp some of their functions. Therefore, it was decided to establish COI as a part of the Executive Office of the President. The new order was not designated as either a military or an executive order; it referred to Roosevelt's position as President, as well as commander in chief, and expressly reserved the duties of his military and naval advisors. It deleted the previous reference to the Army in appointing Donovan as Coordinator. COI was renamed OSS in June 1942 with its directior reporting to the Joint Chiefs of Staff. 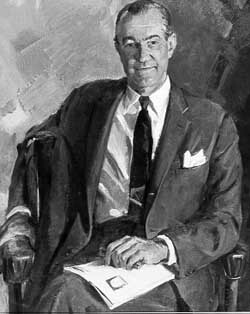 The British asked FBI Director J. Edgar Hoover to appoint a Bureau officer to run a new counterintelligence (CI) organization to handle foreign CI, which Donovan had agreed to house within OSS. When Hoover rejected this request, the British asked Donovan to set up a CI section. 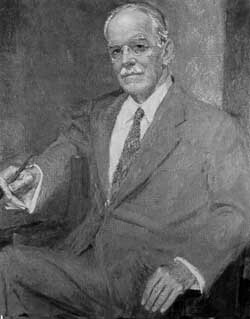 On 1 March 1943, Donovan created the CI section, known as X-2, and placed James R. Murphy in charge. Murphy and X-2 were given access to ULTRA, Magic and ICE. ICE was the OSS cryptonym for the British MI6 cryptonym ISOS, the decoded and translated German Abwehr (Military Intelligence) message traffic. 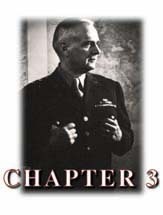 This chapter provides the written correspondence by Donovan, President Roosevelt, and others on the creation of COI/OSS, its eventual dissolution after the war, and reports on X-2. 1. There is hereby established the position of Coordinator of Information, with authority to collect and analyze all information and data, which may bear upon national security, to correlate such information and data available to the President and to such departments and officials of the Government as the President may determine; and to carry out, when requested by the President, such supplementary activities as may facilitate the securing of information important for national security not now available to the Government. 2. The several departments and agencies of the Government shall make available to the Coordinator of Information all and any such information and data relating to national security as the Coordinator, with the approval of the President, may from time to time request. 3. The Coordinator of Information may appoint such committees consisting of appropriate representatives of the various departments and agencies of the Government, as he may deem necessary to assist him in the performance of his functions. 4. Nothing in the duties and responsibilities of the Coordinator of Information shall in any way interfere with or impair the duties and responsibilities of the regular military and naval advisers of the President as Commander in Chief of the Army and Navy. 5. Within the limits of such funds as may be allocated to the Coordinator of Information by the President, the Coordinator may employ necessary personnel and make provision for the necessary supplies, facilities, and services. 6. William J. Donovan is hereby designated as Coordinator of Information. 1. The military and naval intelligence services have gone into the field of undercover intelligence to a limited extent. In the view of the appointment of the Coordinator of Information and the work which it is understood the President desires him to undertake, it is believed that the undercover intelligence of the two services should be consolidated under the Coordinator of Information. The reasons for this are that an undercover intelligence service is much more effective if under one head rather than three, and that a civilian agency, such as the Coordinator of Information, has distinct advantages over any military or naval agency in the administration of such a service. 2. In the event or the immediate prospect of any military or naval operations by United States forces in any part of the world, however, the armed forces should have full power to organize and operate such undercover intelligence services as they may deem necessary. 3. The Coordinator of Information has indicated in conference that he is prepared to assume the responsibilities indicated in Paragraph 1 above. 4. A memorandum similar to this is being submitted to the Chief of Naval Operations by the Director of Naval Intelligence. That the Secretary of War approve the recommendations contained in Paragraphs 1 and 2, above, so far as the War Department is concerned. 2. A civilian agency has distinct advantages over any military or naval agency in the administration of such a service. This consolidation has been approved by the Secretary of War and the Secretary of the Navy. Send to a given country a man who is essentially an organizer. The function of this man would be to set up agents of information who would be able to supply him with information. (b) To be in a position to continue sending reports in event diplomatic relations are severed. (c) Establishment of a line of communi-cations, both by radio and other means, that will endure after the particular country has been closed to us diplomatically. I have been advised that you have appointed General David P. Barrows as Coordinator of Intelligence and Information on the West Coast. I am further advised that the Directors of Military and Naval Intelligence have not been informed of the purpose or reason for General Barrows designation to this post. The intelligence services have been carrying on a carefully coordinated program built upon a complete exchange of pertinent information and the carrying out of mutual undertakings in carefully defined fields of responsibility. Close personal liaison is constantly maintained. Therefore, there would be no reason for the designation of a Coordinator. I would appreciate if you would let me know your purpose in designating General Barrows and your intentions and program with reference to this Coordination. I am somewhat surprised that this appointment was made without prior discussion with the regularly constituted intelligence services. 1. No one has been designated as (your quote) Coordinator of Intelligence and Information on the West Coast. 2. Some weeks ago we did designate, as one of our representatives on the West Coast, General David P. Barrows, a distinguished and respected citizen of San Francisco. 3. The whole question of the selection of representatives on the West Coast was discussed with General Miles, Admiral Wilkinson, and Mr. Hoover, by Colonel Buxton and myself at lunch on the 2nd of December 1941. Colonel Buxton went immediately to the West Coast for the purpose of selecting a representative. 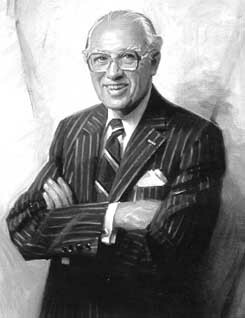 While there, he told the Army and Navy officials, and also Mr. Pieper, the F.B.I. representative, that Barrows was under consideration. 4. Colonel Buxton, upon his return from the West Coast, discussed the matter with Colonel T.B. Bissell, General Lee's assistant. 5. Admiral Wilkinson sent a message to San Francisco informing his people of the designation. 6. No attempt of any kind has been made to have any representative of ours there invested with authority over other services or to coordinate their activities, interfere with them, or impinge upon their prerogatives. Our written instructions to General Barrows, as to all others, concerning your department relate only to the duty of turning over to your office any information concerning subversive activities which might come to his attention. This is a duty incumbent upon him not only as our representative but as a private citizen. 7. There has never been any misunderstanding regarding General Barrows on the part of either ONI or MID in San Francisco, and there is no reason for any misunderstanding on the part of your Department. 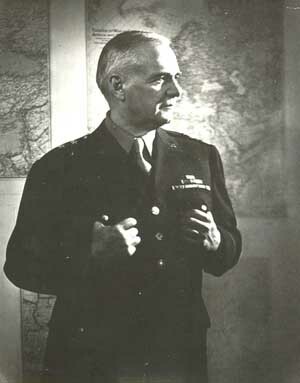 William Donovan, Head of the OSS. There has been submitted to you by the Joint Chiefs of Staff a proposed order which would bring more closely together the office at the Joint Chiefs of Staff and our agency. They have told me that this matter has been taken up with Harry Hopkins for submission to you. I hope you will approve the order. It exactly conforms to your original directive to me, both in name and functionbut which was finally modified at the instance of the Army and Navy. The present proposal comes at their instance. The services now seem to have confidence in our organization and feel that we have in motion certain instrumentalities of war useful to them. For these reasons, and in order more closely to integrate with the armed forces the various elements that we have been developing, they recommend the signing of the order. On March 16 (my memorandum No. 334) I briefly tried to describe to you how our principal units supplement and support one another. I think it essential that both chiefs of Staff, under your direction as Commander-in-Chief, should have these services at their disposal. These would be welded into one fighting force every essential element in modern warfare. You will note that they have even provided for the Commandos. I am glad to concur in the recommendation at the Joint Chiefs of Staff, because I believe this is a sensible and necessary step toward the more effective use of all modern war weapons. I talked with Sam Rosenman yesterday and was disturbed as well as surprised by the conversation. Disturbed because it indicates that since you have not signed the order pertaining to our alignment with the Office of the Joint Chiefs of Staff, as a supporting agency, it must be that you have not yet become convinced, as I am, of the necessity for some such alignment. The conversation was further disturbing because of my strong feeling that the preparation of any plan involving political and subversive warfare must heavily involve those entrusted with the protection of subsequent forms of warfare. Now that we are at war, foreign propaganda must be employed as a weapons of war. It must march with events. It is primarily an attack weapon. It must be identified with specific strategic movements often having effectively it must be allied with the military services. It must be to a degree informed as to possible movements. The more closely it is knit with the intelligence and the physically subversive activities of the Army and the Navy, the more effective it can be. All of these necessitates security. In point of fact the use of propaganda is the arrow of initial penetration in coordinating and preparing the people and the territory in which invasion is contemplated. It is the first stepthen Fifth Column work, then militarized raiders (or "Commandos") and then divisions. OSS 1943-1945. DCI, 4 September 1973 - 30 January 1976. It was for these same reasons that I concurred with the Joint Chiefs of Staff in their request for aligning our office with them Further deliberation, far from causing me to change my mind, has only served to make me more convinced that the successful prosecution of this war demands such unification of all the forces of war. Let me add on this: at the very outset of our present relationship, it was agreed that I would deal directly with you. Due to your continued support and confidence, we have been able to set up for you an instrument of modern warfare, which, if left unimpaired, will mean for you a weapon of combined operations which will be able to stand against any similar weapon of the Axis. In doing this we have not usurped the function of or encroached upon the domain of the Army, Navy, or State Department. I am sure you believe that I have no such intention. But I feel it is now my duty respectfully to urge that this weapon which has been so carefully prepared over the last eight months, which has already begun to demonstrate its usefulness, and which has won the respect of some who were skeptical at the outset, shall not be disturbed at home before it shall be put to its really crucial work abroad. 13, 1942, shall hereafter be known as the Office of Strategic Services, and is hereby transferred to the jurisdiction of the United States Joint Chiefs of Staff. b. Plan and operate such special services as may be directed by the United States Joint Chiefs of Staff. 3. At the head of the Office of Strategic Services shall be a Director of Strategic Services who shall be appointed by the President and who shall perform his duties under the direction and supervision of the United States Joint Chiefs of Staff. 4. William J Donovan is hereby appointed as Director of Strategic Services. The order of July 11, 1941 is hereby revoked. 26 February 1953 - 29 November 1961. There is hereby created a Counterintelligence Division in the SI branch of intelligence service of OSS. 1. To collect from every authorized source appropriate intelligence concerning espionage activities of the enemy. 2. To take such action with respect thereto as may be appropriate, and to evaluate and disseminate such intelligence within OSS as may be necessary, and to exchange such information with other agencies as may be appropriate. The Counterintelligence Section shall be provided with such personnel and facilities as may be required. All geographic functional desks, sections, and branches of OSS are directed to cooperate in all respects with the CI Division and to furnish it with all information or material relating to its field of activity. The provisions of General Order number 13, issued 1 March 1943, are hereby rescinded and there is established under the Deputy Director, Intelligence Service a Counter Espionage Branch which should be referred to by members in conversation and in communication of OSS as X-2 branch. 1. To collect from every authorized source appropriate intelligence data concerning espionage and subversive activities of the enemy. 2. To analyze and process such intelligence in order to take appropriate action, and to exchange such intelligence with appropriate authorized agencies. 3. To institute such measures as may be necessary to protect the operational security of OSS, and to prevent the penetration of our espionage and other secret activities. 4. To cooperate with the counterintelligence agencies of the United States and our allies, and afford them timely information of enemy attempts at penetration or subversive action from areas in which X-2 is authorized to operate. 5. To prepare secret lists of subversive personalities in foreign areas for the theater commanders and other such government agencies as the director may prescribe. The X-2 branch shall be provided with such personnel and facilities as may be authorized. All geographic and functional desks, sections and branches of OSS are directed to cooperate in all respects with the X-2 branch and to furnish it with all information or material relating to its field of activity. There should be close coordination between S.I. and X-2 branches. The chiefs of the S.I. and X-2 branches will exchange operational information to the extent necessary to affect coordination of the operation of both branches. The X-2 branch shall furnish to the S.I. branch any intelligence which is not exclusively of X-2 interest, and the S.I. branch shall refer promptly to the X-2 branch intelligence of interest to the latter branch. X-2 officers operating in foreign areas shall be under either a SSU officer or an OSS mission chief. The X-2 branch may, with the permission of the chief of S.I. employ S.I. field representatives in connection with its work in the field. In such event X-2 activities so conducted shall be kept separate by such field representatives and communications with respect thereto will be subject to examination of the chief of S.I. and the appropriate desk head. The X-2 branch shall maintain its own separate liaison and separate channels of communication within existing OSS facilities. The X-2 branch shall establish and maintain its own files and records and shall locate its registry functions in close proximity to those of the S.I. branch in order that there may be a central area for S.I. and X-2 information. James Murphy is designated chief of the Counterespionage branch. Extract of Memorandum from Brig. Gen.
1. The National Interest requires such an organization. (1) National Policy is formulated in the light of information concerning the policies and activities of other nations. (2) Each nation in defense of its institutions and its people, must have an independent intelligence service to guide its policy in peace as well as in war. (3) Reliance cannot be placed either on the continuance or the impartiality of intelligence voluntarily furnished to one nation by another, however friendly. Such service may be interrupted and even if not discontinued, it is found to reflect, in its evaluation, as ours would, the bias and color of national interest. 2. All major nations other than ours have such agencies. With the exception of the United States, all of the major nations have had, prior to the war, intelligence services, including secret, separate in large measure from their military establishment. Such agencies are a recognized and accepted part of the machinery of government. They have kept their respective Governments informed of current political activities, and long prior to the war, they recruited and trained personnel, provided them with suitable cover, and placed them in political enemy countries; established networks and communications, and laid the groundwork for actual operations in time of war. 28 January 1981 - 29 January 1987. 3. Position of the United States in this respect prior to World War II. (1) The intelligence agencies of the United States were not geared to the demands of a World War. They had been caught unprepared. There was no over-all general intelligence service which collected and analyzed information on which decisions should be made and plans formulated. There was no coordination of our various agencies of information, nor of the information itself. There was no Secret Intelligence nor Counterintelligence Service for working in enemy territory. There were no plans to meet those needs. (2) Five months prior to the outbreak of war, a Committee of Cabinet members was appointed by the President to inquire into the matter. That committee consulted with the writer of this paper who studied the problem, and prepared a report with certain recommendations which were accepted and put into effect by Presidential order. 4. Requirements for a long-range Strategic Intelligence Service with Subversive Attributes. (a) Security. The disclosure of one will not necessarily involve damage to another. (b) Verification. If networks are truly separate, it is improvable that information simultaneously received from two chains, springs from a single source. (c) Control. The effectiveness of intelligence work is dependent upon performance_at least insofar as it is not subject to the power of another to terminate it. The danger that its operation may be terminated by the act of another means subordination. (2) That a long range intelligence service should include an overall collection of political, economic, sociological, and psychological information. (3) That a branch of such a service should obtain information by secret means. (4) A Counterintelligence Service is necessary for the protection of primary services. (5) That a Research and Analysis Branch should be established, composed of men of technical and professional competence_ research specialists with extensive knowledge of areas in question, and trained to critical appraisal of information. (6) That it should have access to short-wave radio as a strategic weapon of attack and exploitation, knit into military plans and strategy. (7) That it should have under its direction morale and physical subversion. (8) That it should have no concern with combat or operational intelligence, except to furnish information required. 1. Independent communications by pouch and code. 2. A separate budget and unvouchered funds. It is useless to relate the difficulties and vicissitudes of this organization in finding acceptance of its services by those who needed it most. For the purposes of this paper it is necessary only to say that it has been able to realize in large part the above named requirements, and today is a living organism which can be adapted to a permanent plan or as a design for a new but similar agency. its successors 1943-1947. DCI, 30 June 1966 - 2 February 1973. 1. Information relating to enemy secret intelligence services in enemy, enemy-occupied and neutral territory is available in LONDON main in Section V or MI 6 X-2 Branch of OSS, but also, in other departments such as MI-5 and MI-14(d), War Office. Owing to the special nature of this information and the great discretion required in its use, it is not suitable for passing to the CI Staffs through normal intelligence channels. Special CI Units will therefore be supplied by Section V of MI 6 for attachment to British Army Group and Army Headquarters and by X-2 Branch of OSS for attachment of US Army Group and Army Headquarters. These units will act as a channel for passing information to CI Staff, about enemy secret intelligence services and will advise them as to its use. 2. All producer departments of information of this type in LONDON will work in close collaboration and will pass their information to MI6/OSS for transmission, of necessary, to SCI units. (a) To assist in the preparation of all available information about enemy secret intelligence services in the form required by the CI Staffs. (b) To advise CI Staffs in the selection of the immediate counterintelligence targets and in the method of dealing with them to ensure the maximum intelligence results. (a) To distribute and interpret to the CI Staffs all counterespionage information received by them from LONDON and from other SCI units, and advise as to its most effective and secure use. (b) To afford the maximum protection to special sources of secret counterespionage information,. (c) To advise CI Staffs in the selection of counterespionage targets whose capture is likely to yield material of value. (d) To assist CI Staffs in the examination of captured enemy documents or material of special counterespionage interest. (e) To assist CI Staffs in the interrogation of captured enemy agents. (f) To pass to LONDON all information on enemy secret intelligence services collected in the field, including such captured documents and other material as is no longer required in the field. (g) To serve as a direct channel between each Army group HQ for information on enemy secret intelligence services collected in the field. (h) To serve as a channel between the Army Groups and from Army Groups to LONDON for any other counterintelligence information which cannot be passed through normal service channels. 7. SCI Units are normally attached to the CI Staffs of a Headquarters and are directly responsible to the Chief CI Staff Officers. 8. Although not technically forming part of the CI Staff, the officers of SCI units will work in closest liaison with the component subsections of the staff. The functions of the SCI units are advisory and not executive. Executive action on information supplied by SCI units is the province of the CI Staffs and CI personnel. 9. SCI units will normally pass their information direct to the appropriate sub-section of the CI Staff. However, in furtherance of the responsibility to safeguard special sources (see para 6 (b) above), they will have the right to withhold any particular item of information derived from such sources from any but the Chief CI Officer, and represent to him the necessity for prohibiting or limiting action upon it, where action or unrestricted action might prejudice the security of these sources. The ultimate decision as to whether action is or is not to be taken in the field will rest with the A C of S (G-2) or the BGS (I) of the Army Group except when an express prohibition to take action is issued by MI6 or OSS in LONDON. 10. Personnel of SCI units should not be employed in any area where there is danger of capture and therefore of interrogation by the enemy. They should normally move with the HQ to which they are attached. 11. It may often be profitable to attach CI personnel to SCI units for short periods of training for special tasks, e.g., seizure and inspection of CI documents. Personnel of SCI units may also accompany CI personnel on such tasks subject to the proviso in the preceding paragraph. 12. Personnel of SCI units are specially qualified and must not be employed on any other counterintelligence duties. 13. SCI units are furnished with special communi-cations and codes and are not normally dependent on Army Signals. 14. Each SCI unit will be in direct communication with its LONDON Headquarters, and all units within the same Army Group Zone will be in direct communication with each other. In addition, each unit with an Army Group Headquarters will be in direct communication with the unit at the other Army Group Headquarters. 1. The first responsibility of Counterintelligence staffs in the theater of operation is the detection and apprehension of enemy agents. Detailed planning of measures against the Germany Intelligence Services (GIS) must be undertaken well in advance. Such plans will be based upon information supplied by SCI units and will be formulated in consultation with officers of these units. While SCI units will render advice and furnish information, executive action is the responsibility of CI Staffs and personnel. 3. Whenever GIS personnel are captured, SCI officers must be notified and afforded the earliest opportunity to interrogate them. All documents, records, or equipment of GIS personnel captured will be turned over to SCI units for examination. SCI units will be consulted as to the disposal of each individual case. It is only by making the fullest use in this way of SCI units that the maximum information can be obtained and the detection and arrest of other agents secured. 8. The field interrogation of arrested enemy agents should be carried out immediately. The more important cases should, upon advise of SCI officers, be returned to the U.K. for further and more specialized interrogation at the MI5 Interrogation Centre in LONDON. 5. Enemy Sabotage Agents. Information from special sources covering the sabotage activities of enemy agents who will be made available to CI Staffs by SCI units, will advise on the action to be taken in respect to such agents. 6. Any captured saboteur known or believed to be an enemy agent will be handled in the same manner as other enemy agents (see Section IX). 7. Liaison With MI5 Counterintelligence Staffs at Headquarters, Army Groups, will maintain direct liaison with the counter-sabotage section of MI5. MI5 will furnish the CI Staffs with all available information of enemy sabotage methods and equipment, and with advice as to measures for the prevention and detection of sabotage and interrogation of saboteurs. CI Staffs will similarly notify MI5 of sabotage developments discovered in the field. Where necessary such information will be passed through MI6 (V), LONDON, and the SCI units in the field. 2. Procedure for handling information collected in the field. (X-2) information unsuitable for transmission by Army Signals. MI6 (V)/OSS (X-2) will undertake the collation and the further distribution of this information where necessary, to the other departments in LONDON or WASHINGTON and will pass to the Coordination Section, SHAEF, such detailed routine information as will be necessary for maintaining the personality cards up to date, and any summaries which will be required by SHAEF. 3. Procedure for the distribution of information in the field. (b) All further information or requests for information addressed from departments in LONDON and WASHINGTON to formations in the field, and which are suitable for transmission by normal Army channels, will be routed through the Coordination Section, SHAEF. Information concerning the operation of SCI units or which is not suitable for transmission by normal means, will be routed through MI6 (V)/OSS (X-2). 7. Channels of Counterintelligence Information. (a) MI6 (V)/OSS (X-2) pass information relating to hostile secret intelligence services direct to SCI units attached to Army Groups in the field through their own special communi-cations. Pursuant to your note of 31 October 1944, I have given consideration to the organization of an intelligence service for the post-war period. 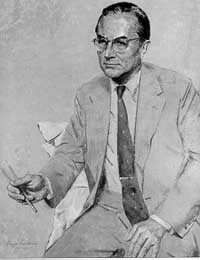 In the early days of the war when the demands upon intelligence services were mainly in and for military operations, the OSS was placed under the direction of the JCS. Once our enemies are defeated the demand will be equally pressing for information that will aid us in solving the problems of peace. 1. That intelligence control authority reporting directly to you, with responsibility to frame intelligence objectives and to collect and coordinate the intelligence material required by Executive Branch in planning and carrying national policy and strategy. I attach in form of a draft directive the means by which I think this could be realized without difficulty or loss of time. You will note that coordination and centralization are placed at the policy level but operational intelligence (that pertaining primarily to Department action) remains within the existing agencies concerned. The creation of a central authority thus would not conflict with or limit necessary intelligence functions within the Army, Navy, Department of State and other agencies. In accordance with your wish, this is set up as a permanent long-range plan. But you may want to consider whether this (or part of it) should be done now, by executive or legislative action. There are common sense reasons why you may desire to lay the keel of the ship at once. 2. The immediate revisions and coordination of our present intelligence system would effect substantial economies and aid in the more efficient and speedy termination of the war. Information important to national defense, being gathered now by certain departments and agencies, is not being used to full advantage in the war. Coordination at the strategy level would prevent waste, and avoid the present confusion that leads to waste and unnecessary duplication. Though in the midst of war, we are also in a period of transition which, before we are aware, will take us into the tumult of rehabilitation. An adequate and orderly intelligence system will contribute to informed decisions. We have now in the Government the trained and specialized personnel needed to the task. This talent should not be dispersed. This section was taken from the official history of OSS. The text has been slightly edited. Counterespionage (CE) is a distinct and inde-pendent intelligence function. It embraces not only the protection of the intelligence interests of the government it serves, but, by control and manipulation of the intelligence operations of other nations, it performs a dynamic function in discerning their plans and intentions, as well as in deceiving them. An effective counterespionage organization is therefore an intelligence instrument of vital importance to national security. The development of a secret intelligence organi-zation makes protective counterintelligence inevitable. However, to confine such activity to its protective aspects would be to eschew the development of the affirmative phases of counterespionage, which give it its unique and distinct value. A counterespionage organization usually develops slowly. Basic to it is the vast body of records, which is the key to its operations and which normally takes years to accumulate. A second requirement, however, no less vital, is skilled personnel familiar with the intricate techniques by which the intelligence efforts of other nations may be controlled and directed. The United States lacked these basic factors. At the outbreak of the war, its counterintelligence activities were performed by several agencies and departments of the government and the armed forces, principally FBI, G-2, and ONI. Fortunately, the domestic security problem, most important at that time, was efficiently handled by the FBI, which kept itself alerted to threats from beyond US borders by liaison with Allied security services, chiefly those of the British. With respect to areas outside the Western Hemisphere, however, the United States had virtually no security protection. Also, the divisions of interest of the various American organizations concerned with counterintelligence and the limitations upon their several missions had resulted in incomplete and duplicative records, which were scattered and uncoordinated. The lack of complete past and current records of enemy espionage organizations, their personnel, and activities made the effective pro-secution of counte-espionage seem impossible. The development by COI/OSS of a secret intelligence organization to operate outside the Western Hemisphere made it obvious that it would be necessary to establish a security organization for its protection. It is, of course, inevitable that a secret intelligence agent in a foreign area will attempt to acquaint himself with the intelligence activities and undercover personnel of other nations operating in the same area. This, however, provides only localized and uncoordinated knowledge. Furthermore, it does not take advantage of the affirmative possibilities inherent in the possession of such knowledge, if it is coordinated with related data and supported by an efficient centralized organization.